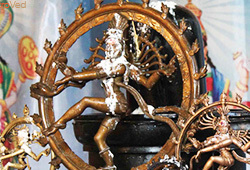 Arudra Darshan, the ecstatic dance of Lord Shiva as Nataraja, occurs on Dec. 23rd when a deeply mystical and powerful Full Moon aligns with Arudra star in the Tamil month of Margazhi (December-January). 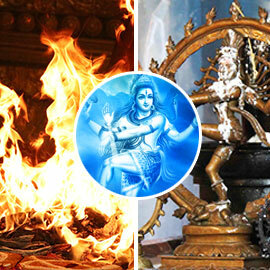 This day is also known as Shiva’s birthday. Connecting with Lord Shiva on His birthday and day of ecstatic dance can invoke his blessings to fulfill your desires, de-clutter your mind of negativity, eradicate sins and lead a life with all-around prosperity and happiness. 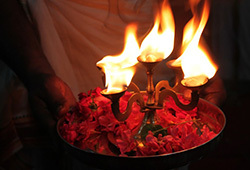 Rudra Homa (Fire Prayer) is the most powerful ceremony to connect with Vedic archetype Rudra for removal of sins and fulfillment of wishes. 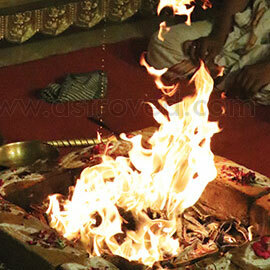 ‘Sri Rudram’ is a Vedic hymn to Rudra to transform his aggressive form to his peaceful form and shower his blessings. 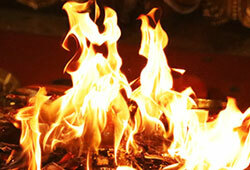 This hymn is most powerful using a complex and advanced form of chanting Vedic mantras, the ‘Ghana’ style. A deeply mystical and powerful Full Moon aligns with the Arudra in the Tamil month of Margazhi (December-January) which is celebrated as Arudra Darshan, the ecstatic dance of Lord Shiva. All patterns, all rhythms in the nature emanates from his dance. Participate in our basic Shiva Birthday ceremonies and receive Lord Shiva’s blessings to create a life with new and better possibilities. A deeply mystical and powerful Full Moon aligns with the Arudra in the Tamil month of Margazhi (December-January) which is celebrated as Arudra Darshan, the ecstatic dance of Lord Shiva. All patterns, all rhythms in the nature emanates from his dance. Participate in our premier Shiva Birthday ceremonies and receive Lord Shiva’s blessings to create a life with new and better possibilities. 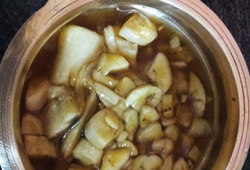 You will receive the energized product along with sacred grey ash powder from the homa, which will be blessed in the rituals. Keep this on your meditation altar and wear it on your forehead during meditation or at other times to expand the Divine blessings into your life. 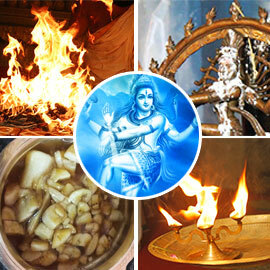 Book your individual Rudra Homa on Nataraja’s birthday performed to Rudra, one of the various names of Lord Shiva, and is considered more powerful in healing all your physical, mental and health problems. This fire prayer is performed to increase the positive influence and neutralize the negative influence of Navagraha (9 planets), and to bring spiritual empowerment and worldly pleasures.